Workplaces have become highly connected. Even a small business could have dozens of devices in the form of desktops, mobile devices, routers, and even smart appliances as part of its IT infrastructure. Unfortunately, each of these endpoints can now be a weak link that hackers could exploit. Hackers constantly probe networks for vulnerable endpoints to breach. For example, systems and applications that are configured using recycled user names and passwords can easily be hacked given the availability of leaked credentials online. Password management service LastPass noted that 59% of users use the same password for multiple accounts. Malware and malicious processes may also target workstations. Cybersecurity firm Symantec found a 1,000 percent increase in PowerShell script attacks in 2018. These attacks use cleverly disguised malicious processes that appear legitimate at a cursory glance. This is why IT security career is fast evolving into a huge market. However, because of the number of devices in workplaces, keeping networks safe from hackers has become quite a massive undertaking. Fortunately, organizations now have access to a variety of tools that help mitigate these threats such as endpoint management solutions. "It only takes one compromised endpoint to bring a whole network down. Even for smaller businesses, the loss of data, theft of intellectual property, and downtime could cost tens of thousands of dollars to deal with." "This doesn't even include potential losses from government fines and negative publicity. Therefore, it's critical for administrators to have control over the devices connected to their networks. One way they could do this is through effective endpoint management." 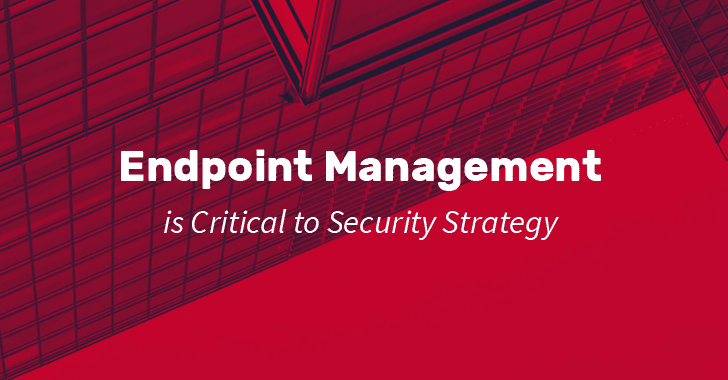 Here are four ways endpoint management can help secure the workplace's IT. IT teams should know exactly what hardware and software comprise their infrastructure. But thanks to the surge in the cloud and mobile computing adoption, there's now what’s called a "shadow IT" in workplaces comprised of unsanctioned applications and devices that workers use. Using endpoint management solutions, IT teams can automatically discovery all devices connected to the network, their specifications, and the systems and software that run on them. Having this list allow administrators to review and vet these applications and devices to see if they are free from risks. This way, administrators can then restrict and regulate the use of these technologies. Audit results can also be collected over time. Audit histories can be used to check and verify the changes that happen to the network including the potential loss and theft of devices. Hackers continue to use social engineering attacks such as phishing to trick users into downloading and installing malicious scripts to their devices that are designed to steal information, cause disruption to operations, or destroy data across the network. Users may not be aware if their devices are already compromised as many of these malware are designed to run silently in the background. By enabling remote access to endpoints, system administrators can review active processes and readily terminate dubious ones. Fortunately, developers continuously release updates to fix bugs and flaws in their products and services. Previously, administrators have to judiciously keep track of security and update bulletins to know if there are new patches that need to be downloaded and deployed. Today, endpoint management solutions can automatically detect available firmware and software updates for each device connected to the network. These patches can also be automatically deployed across devices including to Internet-of-Things devices. Updates can be performed as soon as fixes become available even during off-hours, minimizing the IT team's workload and the downtime caused by patching. System administrators must also be able to decide immediately on what actions to take should threats manifest themselves. Endpoint management solutions can reference audit results to identify which endpoints are affected. By having the most up-to-date information about the system, administrators would also be able to recommend the right actions to decision makers. For instance, critical vulnerabilities without available fixes may require affected endpoints to be taken offline. Through audits, administrators and decision-makers would have the information they need to assess the impact on the business end such as the number of potential workstations affected and expected downtime. Knowing these, they could work on contingencies. 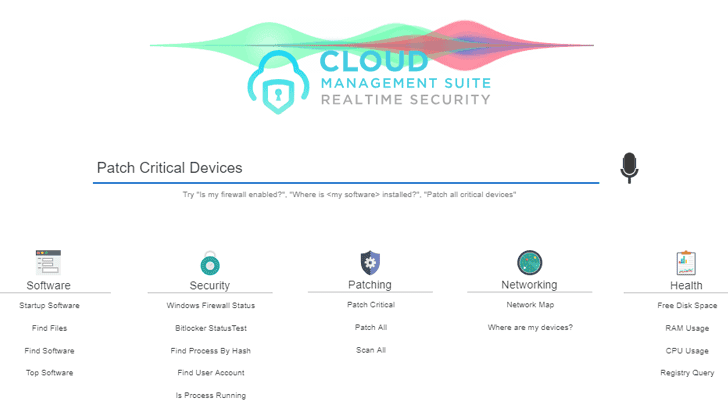 Cloud Management Suite, for instance, enhances administrators’ capabilities to monitor and respond to threats. The platform provides absolute real-time visibility of devices, allowing IT teams to instantly check affected endpoints based on audit histories and timely patch reports. This way, administrators can perform immediate actions to remedy vulnerabilities. The platform even features voice and artificial intelligence-powered controls that allows administrators to issue human language instructions which further simplifies threat response. These said, securing workplace IT requires more than just endpoint management. This should be combined with other measures such as using firewalls, identity management, and data protection. Workplaces should also educate end users regarding the proper use of IT resources and how to avoid social engineering attacks. But by using comprehensive management solutions, administrators would be able to cover the many bases required to keep their workplaces' endpoints secure.